Mobile online-to-offline platform Fave has raised over US$20 million in a Series B round from strategic and existing investors which includes Sequoia India, SIG Asia Investment and Venturra Capital. With the new funding, Fave will look to accelerate its exponential growth for the benefit of both offline retail businesses and consumers. In a statement, Fave sees itself as being in an unique position to help offline businesses in Southeast Asia to reach out to the regions mobile-centric customers. 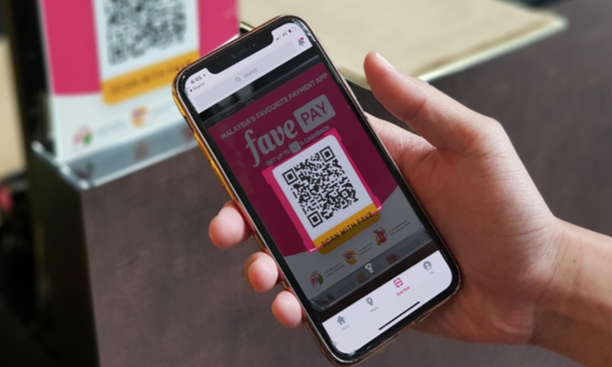 Fave has claimed to see an annual growth rate of 300%, recording millions of transactions, and has seen adoption in over 15 cities across Singapore, Malaysia and Indonesia. In a statement to A+M, Fave’s spokesperson said part of the funding will be used for marketing, particularly in consumer and merchant marketing, but declined to reveal the specific amount. Fave plans to “strategically invest” the money into reaching out to new users and offline businesses that have yet to come on board Fave. Consumers can also expect more strategic partnerships from Fave that will offer them more rewards, the spokesperson added. Fave is currently investing “heavily” in performance marketing, CRM and selected offline marketing initiatives. Currently present in Singapore, Malaysia and Indonesia, Fave’s spokesperson said the company is “keeping an eye” on other ASEAN countries but it does not have any immediate plans to expand into other countries for now. Joel Neoh, founder of Fave, said the mobile platform’s goal is to serve 100,000 offline businesses by 2019, and this round of funding will help it get one step closer to achieve that milestone. “Consumer behavior is changing with buyers spending more time online than offline, and so Fave aims to help make it easy for all offline businesses to go online through the Fave platform. This helps retail businesses in food & beverage, consumer goods, lifestyle services and other categories to transform themselves to meet the needs of tech-savvy consumers in Southeast Asia.” Neoh added. Meanwhile, Pieter Kemps, principal of Sequoia Capital (India) Singapore said the shift to a cashless society requires exceptional user experience with clear benefits for the users as well as for businesses. “If you help businesses drive revenue and reduce operational burden, you can truly drive adoption and create choice for consumers. Fave knew this when it launched FavePay. Sequoia India has been impressed with their execution and exceptional growth, and is happy to support Fave on their journey to create a cashless society,” Kemps added. Earlier this year, AirAsia BIG Loyalty teamed up exclusively with Fave to unveil a new feature on its BIG Loyalty app known as BIG Deals by Fave. Under this partnership, BIG members in Malaysia can earn BIG Points, while enjoying savings of up to 95% off on travel and lifestyle deals by Fave. Fave has also partnered with local online grocery retailer Potboy Groceries to organise an online-to-offline (O2O) grocery sale from 6th to 8th July at Jaya One, Petaling Jaya.